Convert MTS, M2TS, MKV, AVI, WMV, FLV, 3GP to MPEG! 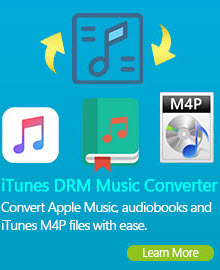 Any Video Converter is a powerful MPEG Converter and video converter which can easily convert AVI to MPEG, convert MPEG to iPod, convert video to YouTube video and convert WMV to MPEG. The MPEG Encoder not only supports converting both SD (Standard Definition) and HD (High Definition) videos such as MTS, M2TS, MOV, TS, MP4, WMV, FLV, SWF, 3GP, 3G2, AVI, MKV, but also provides the fast ways to extract audio from MPEG files and convert MPEG to MP3, WMA, WAV, AAC, M4A, etc. In addition, extra features such as taking snapshots, customizing the parameters, defining output size, or splitting files are available! For Mac Users, Any Video Converter Ultimate for Mac is also a versatile MPEG converter, it could convert MPEG files between different formats, devices and software. 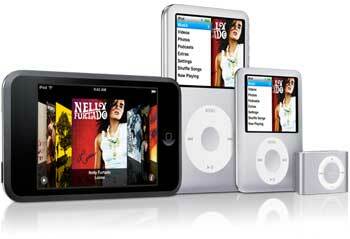 Users could convert MPEG to iPhone, iPod, iPad, PSP, etc. for playable, transfer MPEG to iMovie or FCP for further editing, burn MPEG to DVD, and convert DVD to MPEG. With Any Video Converter, you can easily convert MPEG files to MP4 videos for your iPod, PSP, Zune or any other portable media player. MPEG-4 is able to render DVD-quality video (MPEG-2) and remain lower data rates and smaller file sizes at the meantime. MPEG-4 was defined by the Moving Picture Experts Group (MPEG). The MPEG Group also set up the standards of MPEG-1 and MPEG-2. MPEG-4 delivers high quality of audio and video streams, especially for cell phone and broadband. MPEG-4 adopts AAC instead of MP3 as the audio codec. 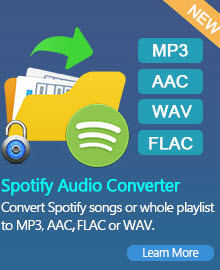 Any Video Converter is able to extract audio tracks from MPEG files and save the audio in MP3 format, which can playback on nearly all media players. For those who have audio players rather than video players, and those who only want to listen to audio parts of the MPEG movies, MPEG to MP3 conversion is a great function. RMVB is typically used for multimedia content stored locally. If you need to convert RMVB files to MPEG, FLV, AVI, WMV, MP4 and other formats, Any Video Converter can help you. Any Video Converter can convert RMVB and RM video files to various types of formats, including WMV, FLV, MP4, AVI, MPEG-1, MPEG-2, 3GP and MP3. RealMedia Variable Bitrate (RMVB) is a multimedia container format developed by Real Networks. As opposed to the more common RealMedia container, which holds streaming media encoded at a constant bit rate, RMVB is typically used for multimedia content stored locally. Files using this format have the file extension .rmvb. If you got Zune media player or Xbox 360 video game console, you may want to convert MPEG videos to WMV format so that you can watch the movies on Zune or Xbox. Any Video Converter can convert MPEG and all other supported formats to WMV for Zune and Xbox. This video converter can also convert WMV files to MPEG formats. Windows Media Video (WMV) is a compressed video file format for several proprietary codecs developed by Microsoft. The original codec, known as WMV, was originally designed for Internet streaming applications, as a competitor to Real Video. The most common file types contained within an ASF file are Windows Media Audio (WMA) and Windows Media Video (WMV). Any Video Converter can convert WMV contained within an ASF file to MPEG, AVI, FLV and MP4 format. Advanced Systems Format is Microsoft's proprietary digital audio/digital video container format, especially meant for streaming media. One of the objectives of ASF was to support playback from digital media servers, HTTP servers, and local storage devices such as hard disk drives. Any Video Converter can convert AVI to MPEG-1, MPEG-2 and MPEG-4. The MPEG-2 videos are ready for burning to DVD disc. 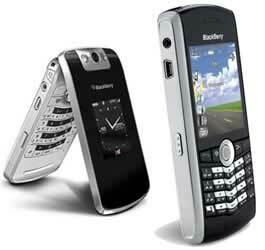 The MP4 videos can be transfer to iPod, Zune, PSP and mobile phones. Audio Video Interleave is a multimedia container format introduced by Microsoft. AVI files can contain both audio and video data in a file container that allows synchronous audio-with-video playback. More modern container formats (such as QuickTime, Matroska, Ogg and MP4) offer superior compression and playback. Videos downloaded from YouTube are in the format of FLV (Flash Video). Any Video Converter can convert these FLV files to MPEG. It can also convert FLV files from all other sources. What’s more, Any Video Converter provides the feature of converting MPEG to YouTube FLV, as well as converting AVI, WMV, MKV, RMVB, VOV and various types of video formats to FLV files ready for uploading to YouTube.com. MPEG is the audio-video standard developed by Moving Picture Experts Group. MPEG was established in 1988. Major MPEG standards include MPEG-1, MPEG-2 and MPEG-4. There MPEG formats had underlay the solid foundation for many other video and audio formats later, like H.263 and 3GP. New standards such as MPEG-4 and MPEG-7 and MPEG-21 are being developed to meet the future requirements. MPEG (pronounced EHM-pehg), the Moving Picture Experts Group, develops standards for digital video and digital audio compression. It operates under the auspices of the International Organization for Standardization (ISO). The MPEG standards are an evolving series, each designed for a different purpose.